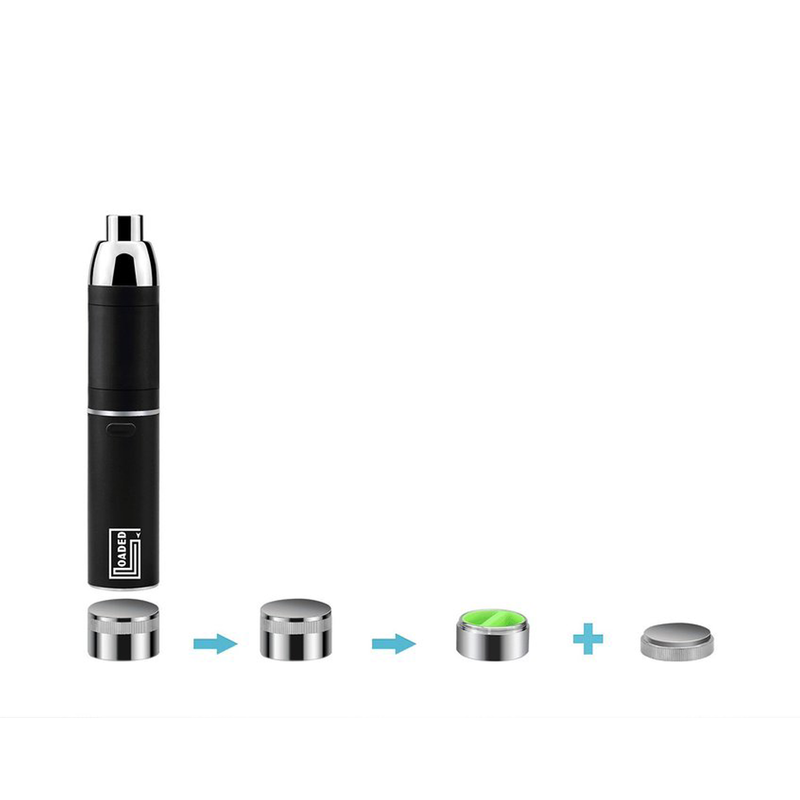 The Loaded Vaporizer by Yocan is a powerful concentrate pen device that will make your on the go experience easier than ever before with it's cutting-edge side atomizer door cover. This innovative vape pen comes equipped with two unique Quartz Rod atomizer heads that are designed to work with quite a wide range of concentrated material. Inside every kit you have one Quartz Dual and one Quartz Quad coil ready to go at the touch of a button. Both heat efficiently and deliver an amazing, natural flavor quality. When you want to swap one out of the other, it is done in seconds with absolutely no effort. 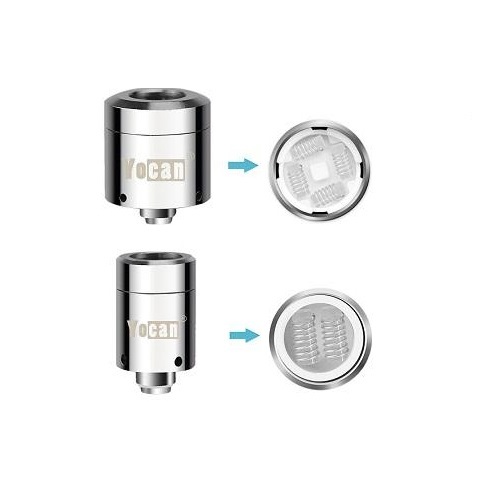 Just flip open the side atomizer door cover, remove the installed coil, drop in the new one and it's embedded magnets create an instant connection for you. After you've have your coil of choice installed and filled with your favorite thick essential oil, you can begin heating using the single button control key. 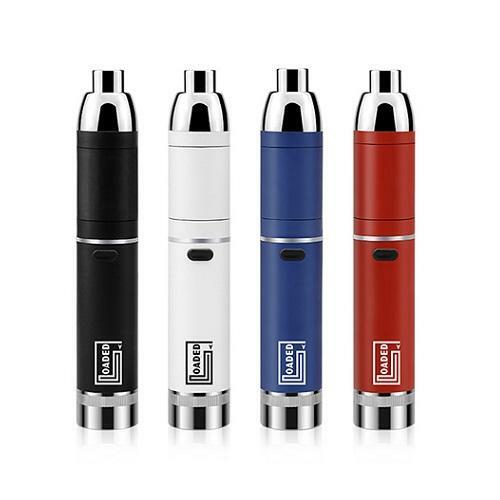 Five rapid clicks locks/unlocks the battery and then press/hold the button to heat the atomizer for up to 15 seconds at a time. An LED power light indicator located behind the control button will shine white, letting you know it the cycle has begun. 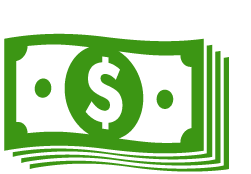 When the max time limit is reached it will flash red and cut off power to prevent overheating. This light also indicates the Loaded's remaining battery life. It has a massive 1400mAh capacity so you won't have to worry about it too often but when it does eventually reach a 10% charge the LED will flash red. At that time you can connect to the included USB charger and have a full recharge in just 2 hours. 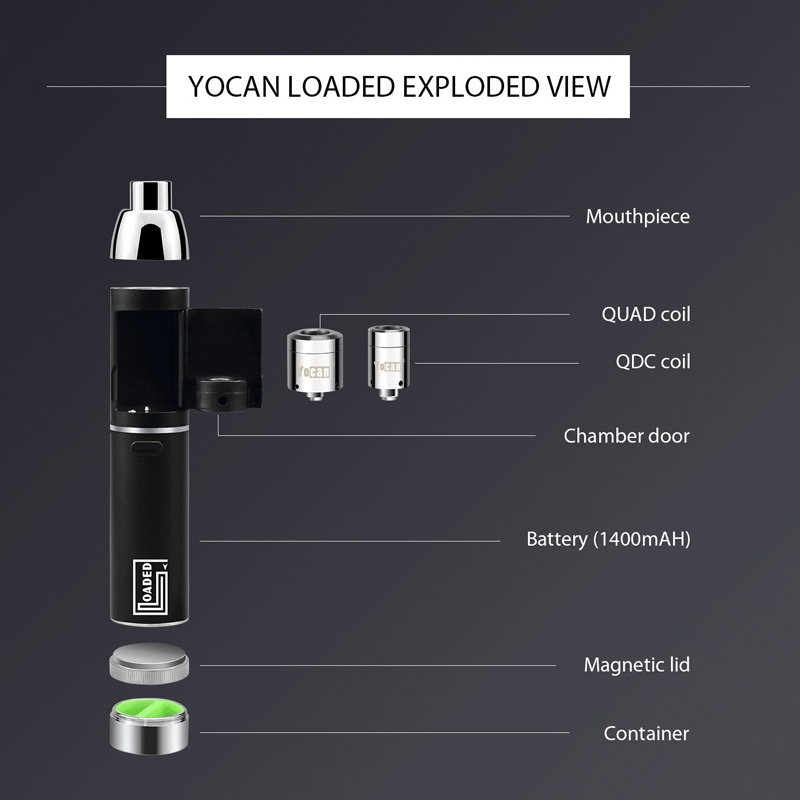 The Loaded Pen Vaporizer from Yocan also features a built-in silicone storage container connected to the base of it's battery. It connects to the base of the Loaded with an strong magnet and has dual internal compartments for neatly storing two types of concentrates at a time. 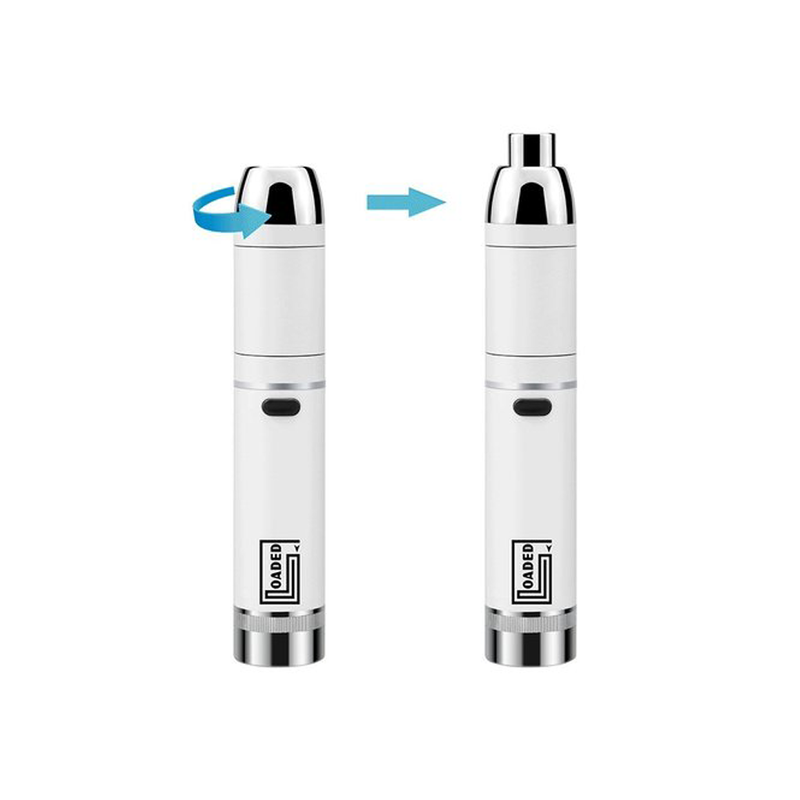 It also has a telescopic mouthpiece that extends and retracts with a simple twist so at any point you can remove the container and retract the mouthpiece to make your Loaded vape a bit more compact and that much easier to travel with.